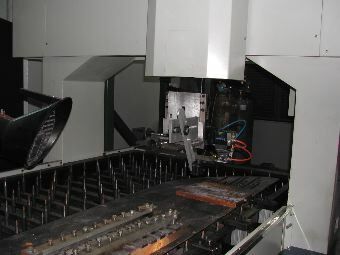 Laser welding equipment at the Harbin Institute of Technology. 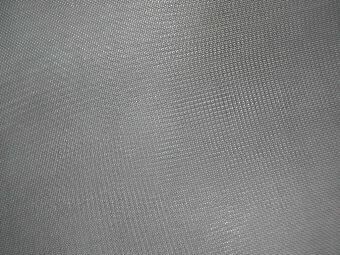 Laser drilled patterns, Harbin Institute of Technology. 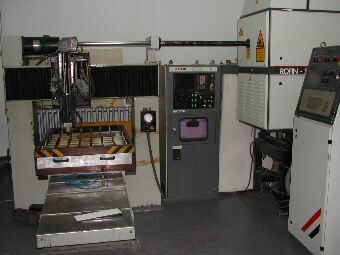 Laser welding equipment, Harbin Institute of Technology. 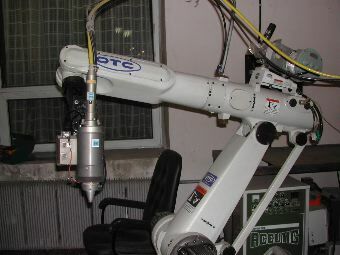 A robot carrying a welding laser connected to its source using optical fibres, Harbin Welding Institute. These facilities will in the future be used on car production plant.